Can you believe that after almost 20 years of living in the Boston area, today was the first time I visited the Boston Harbor Islands? Sure, I’d heard of them, and I know plenty of people who have visited, but today was the first time I explored them myself. I spent yesterday afternoon poring over the ferry schedules (which are not particularly user friendly) in an attempt to put together the best day trip possible. A plan is important because the ferries run to each island at different times and to maximize your day, you need to figure out the best route to the islands you want to visit and the quickest way to get between them. A ferry ride costs $17, but once you’ve paid, you can ride the inter-island ferries as much as you want and simply hop on a ferry back to Boston (or Hingham or Hull) from your last stop. I managed to squeeze 3 islands into my day. I got an early start this morning and left my car at the Oak Grove T station. The first ferry to the islands was at 8:30 to Peddocks Island, so I decided to start my day there. In fact, I had the ferry all to myself this morning! On the way out to Peddocks, we passed by the new Coast Guard cutter (James) being escorted into Boston Harbor. 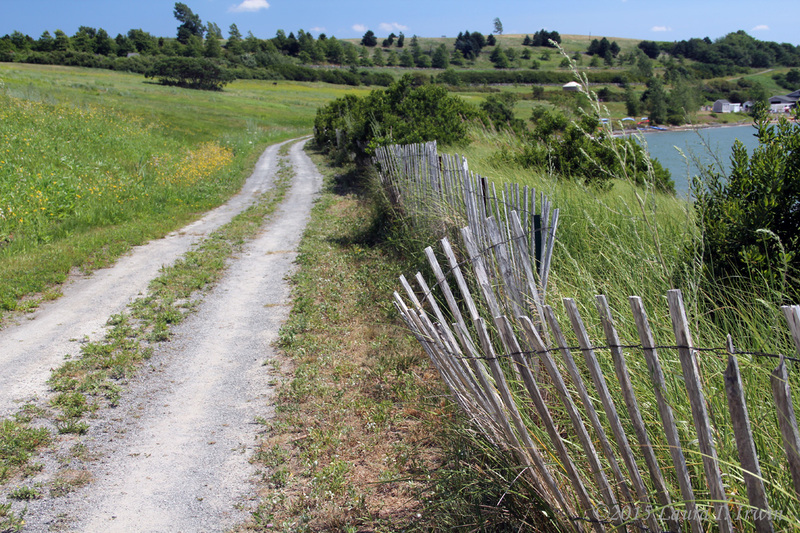 Peddocks Island is about 1.5 miles end to end, with walking paths and trails that run the length of the island. There are basically two main areas to visit on the island: Fort Andrews and “Crab Alley”. Fort Andrews was a defensive fort protecting Boston Harbor from 1904 to the end of World War II. 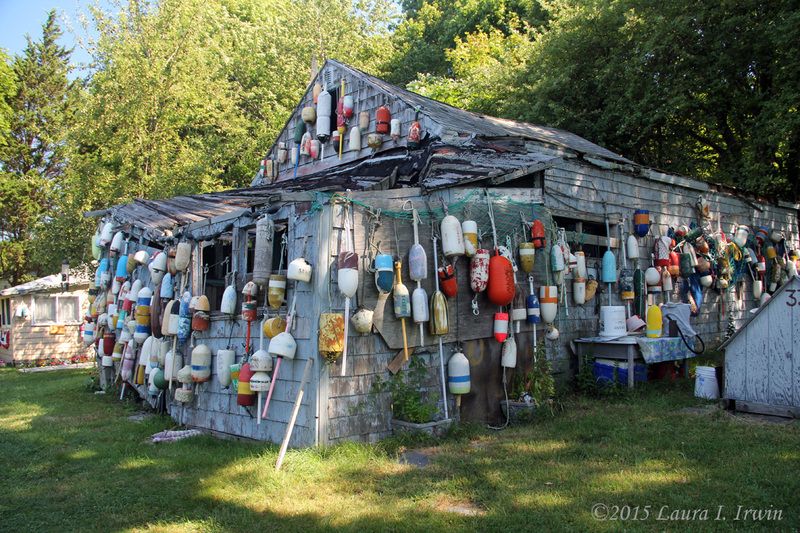 Crab Alley is a small village of summer cottages toward the western end of the island. You may feel like you’re alone as you look around, but the constant hum of jets taking off from nearby Logan Airport will remind you that you are not far from the city. I spent about 2 hours wandering the length of Peddocks Island before making my way back to the ferry dock. From Peddocks, a quick 15 minute ferry ride delivered me to Georges Island. Georges Island has a more modern visitor center and is a hub for ferries going to the other islands. The main attraction at Georges Island is Fort Warren, which takes up most of the island’s 39 acres. Fort Warren was built between 1833 and 1861 and was constructed as a pentagonal star fort. During the Civil War, it served as a prison for Confederate officers and government officials. The fort has one main entrance, and is easily explored from there. You can climb up one of the many winding staircases to wander around the ramparts, or you can walk through the bastions down below. Walking around the historic fort reminded me of many of the ruins I visited in Ireland. By the time I finished my walk around Fort Warren, I was tired. There is barely any shade to be had on any of the islands I visited, and trekking around in 90 degree heat and hot sun was draining. Nevertheless, I had one last island to visit before heading back to Boston. Spectacle Island is about 4 miles from downtown Boston, and is named because the two drumlins connected by a spit of land make the island appear to look like a pair of spectacles. A one-mile hike leads to the top of the North Drumlin, while a ¾ mile hike leads to the South Drumlin. I opted to visit the North Drumlin. From the top, you have a clear view of the city of Boston, Logan Airport, and many of the other islands. Let’s face it: after walking about 5 miles in the hot sun by that point, I was pooped. Fortunately, the Spectacle Island visitor’s center has a row of rocking chairs and Adirondack chairs on the front porch. I grabbed a lemonade from the snack bar and settled in for a few minutes before taking the ferry back to Boston. 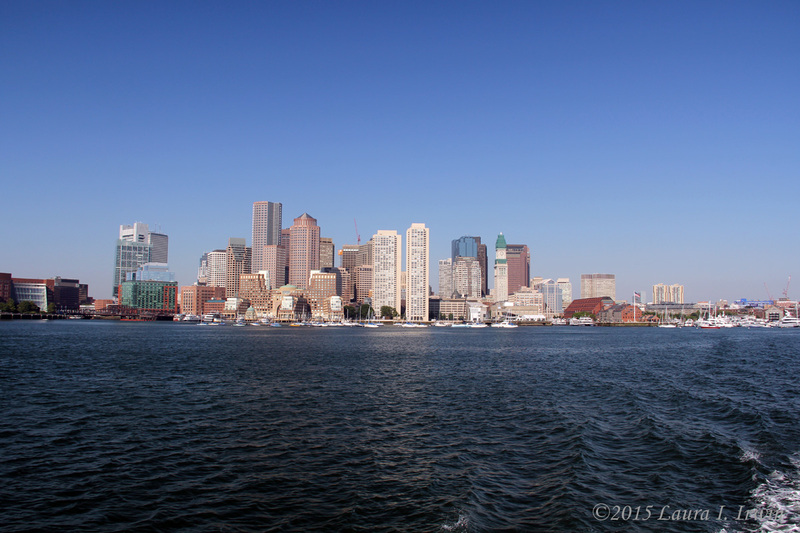 All in all, it was an enjoyable day visiting Boston Harbor; I just wish it had been a bit cooler for my trek around the islands!